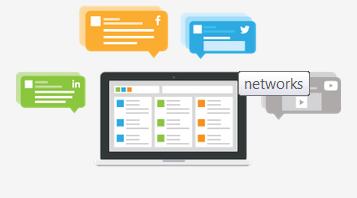 Make #SocialMedia as easy as 1 2 3.. Attempting to manage each and every one of your social media accounts can be tricky & Time-consuming. 1. Remembering The Password every time when opening profiles to update. 2. Post Separately on different-different sites after logging in. 3. Managing & Updating Each & Every site separately. 4. Take Out the data of your analytically differently. Smart businesses know that social media is a power to be known with: social media channels create a direct line of communication between your company/business and consumers and give anyone with an Internet connection instant access to the latest buzz around your products or services. The most important, they can help you to generate revenue, while building your brand presence online as well as offline. This Strategy of Updating Different-Different sites is very annoying. For example, while you’re busy updating your Facebook status, you might have forgotten to favorite a tweet. Whether of tweets, when is the best time to send one out to followers? ohhh. It can seriously give you a brain bursting. Now A Days Every Business Or even an individual Has to update his social media regularly so as to maintain his online position. Thankfully, we live in a world and time where developers are rectifying that problem! Now there are plenty of tools that can easily sync with all of our social media accounts so that we can update and monitor all of accounts in convenient location. 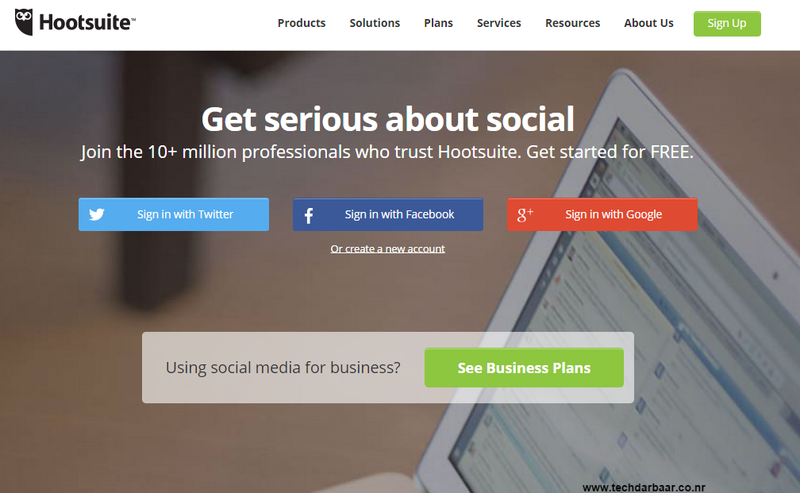 Hootsuite is the most popular Ever Social media managing tool online. Working across multiple networks with a social team can be difficult, and Hootsuite makes it possible for you and your team to delegate between responses to fans and followers, eliminating the stress of coordinating responses and potentially overlooking valued fans. Hootsuite takes it a step further and allows you to manage multiple social streams like Twitter, Facebook, LinkedIn, Google+, Foursquare and many more in one place. HootSuite also offers a custom built-in analytics system and the capability to schedule posts on all platforms. Hootsuite offers Different plans with Competitive pricing:- Starting from FREE Plan to a Enterprise Plan you can decide among these according to your need. The free account can be a option for you if you are using it as a Personal Use. But you can also try the 30 DAY TRIAL of the PRO plan. What you can do with Hootsuite? Take control of your daily life with #SocialMedia easily with Scheduling or Analytics or its sharing the work with your team. You can easily do that In the Dashboard itself. Marketing Automation Technology has added the Social Reach better and best. With this technology you can automate the #tweets or #facebook statuses. Or say”Automatic share the facebook status at 15:00 Hours”. It will automatically share at that time. 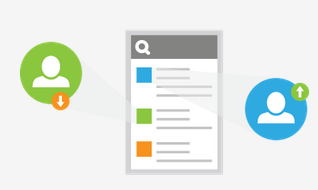 identify and engage with the right prospects, at the right time. 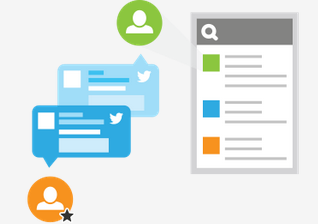 Empower your entire team to engage with quality leads on social media. Work all together to help your customers along every step of their buying journey and ensure no sales or consumer is missed again. Deliver the Best of what your Customers Wants and after sales Service. You can Track the Status of the Supports and user engagement. Live Chats and Forum can be great for your site. You can Install the Free or Premium Extensions to make your projects/work Easier. Contains large No. of Plugins/Extensions/Apps to be installed and let be Connected to the World. 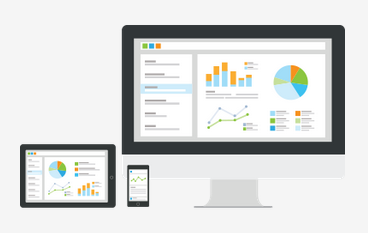 Hootsuite mobile management is a simple way to take the platform with you on the go. Now, powerful social media management is just a tap or swipe away. Whether its Analytics, Sharing or Team Management its as easy as Playing an arcade Game.